With a wide variety of soil and climatic conditions as well as types of landscape in its territory, the Crimean Peninsula has a very long history of economic activity that can be broken down into multiple stages. 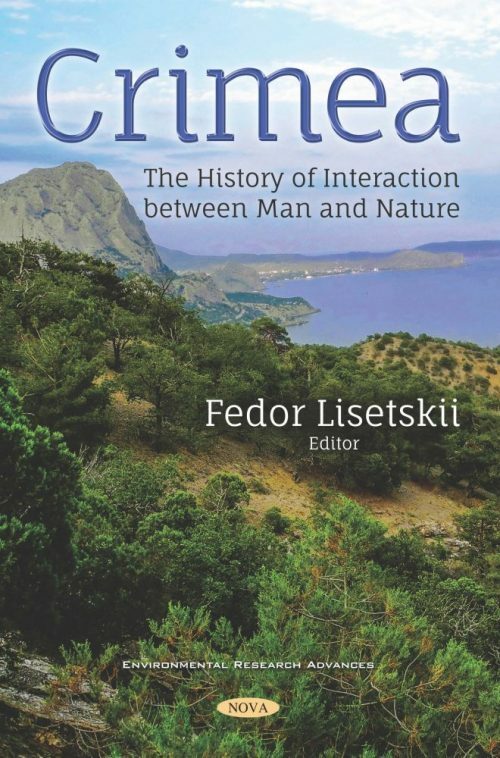 There was an especially significant change in the natural landscapes on the peninsula during the Great Greek Colonization of the Northern Black Sea coast, when several major agricultural zones emerged in Crimea and the subsequent agricultural impacts on the soils continued for a millennium. The results give an idea about the specifics of the modern landscapes in terms of economic use, as well as human transformation of the original natural landscapes. The traces of land division in the form of linear structures that can be seen in satellite images allow researchers to reconstruct the way that agricultural landscapes were laid out in ancient times by extrapolating from the most significant components (land use and land use planning systems, population centers, transport routes etc.). The authors of this study used natural science methods to study the artifacts and territories of ancient agriculture in Crimea to try and reconstruct the way that land resources were used for agricultural purposes in ancient times and get a comprehensive idea about how ancient agriculture in Crimea was organized and what resources it relied upon. To achieve that, a comprehensive method was developed that included an assessment of the suitability of specific areas for agriculture, identification of surviving agricultural artifacts (land division boundaries (ramparts, ditches), roads, etc.) and a search for soil properties indicative of past agricultural activities. The results of studying the land management and new approaches to defining the boundaries of ancient land use are presented. For the first time, the relic signs of agricultural loads in the post-antique lands have been established. The significance of the results obtained can hardly be overstated when it comes to understanding the ancient agricultural practices and their impact on the existing agricultural landscapes since Crimea is unique in that the traces of ancient agriculture have been preserved here much better than in other parts of the world that used to be sites of ancient civilizations. Preserving the look and feel of ancient agricultural landscapes is a new task. As the authors have demonstrated, this task can be accomplished by integrating the findings of geographical and archeological studies with high tech methods (geo-modeling and automated decryption of remote Earth sensing data). A book for professionals (Historians, archaeologists, geographers, ecologists, soil scientists, specialists in the field of remote sensing) and for those who are interested in a little-known region of the world.